This case was designed for Novartis Pharmaceuticals and integrated by the Whitlock group as part of a 3 case system to use on the Novartis campus. 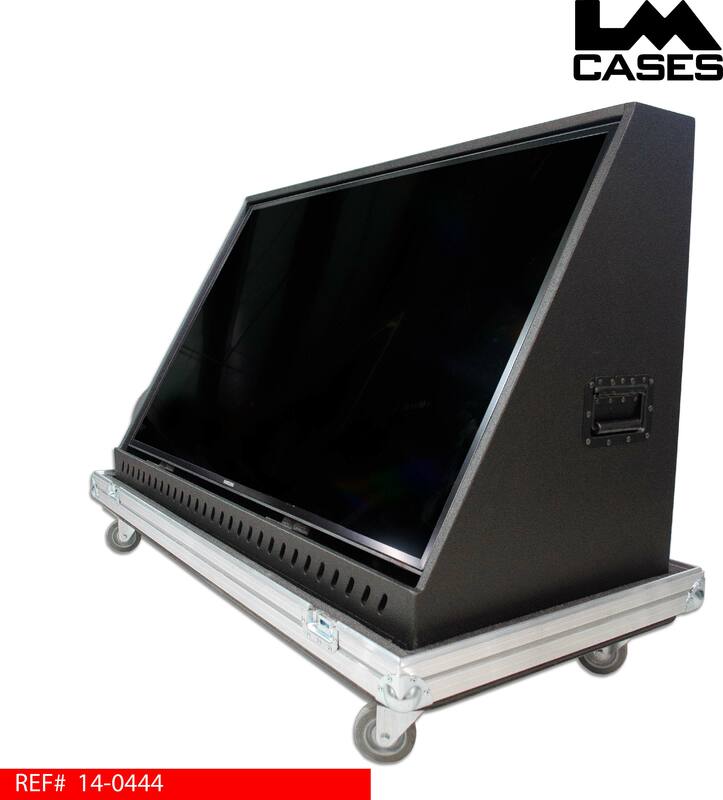 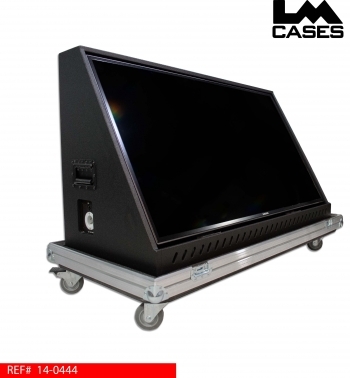 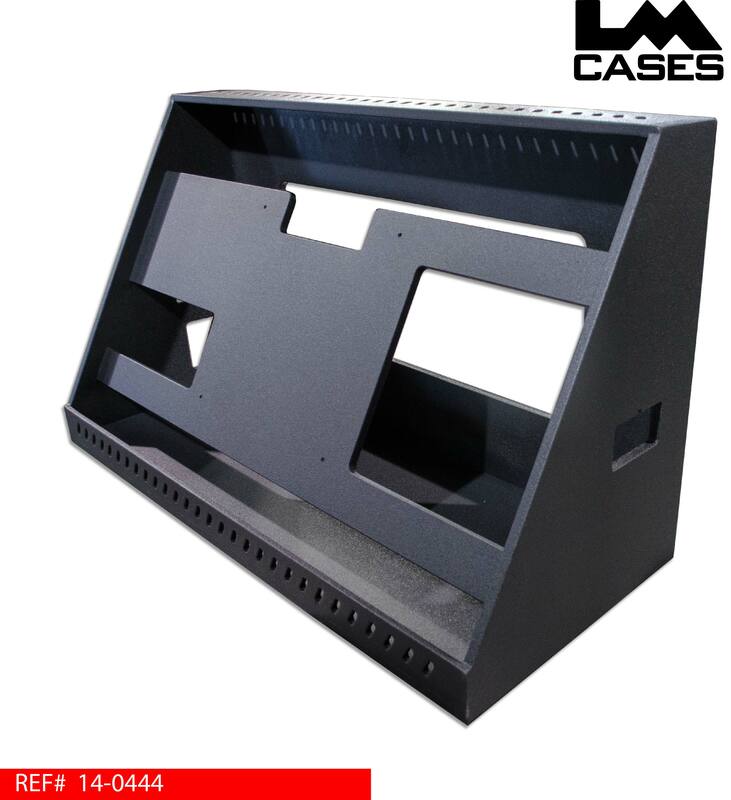 The case features a 55" monitor mounted in a custom enclosure to hold the monitor at a fixed angle for "confidence monitor" applications. The enclosure is built out of 3/4" Baltic Birch plywood and features top & bottom mounted vents, rear access door and VESA pattern holes for mounting the monitor. 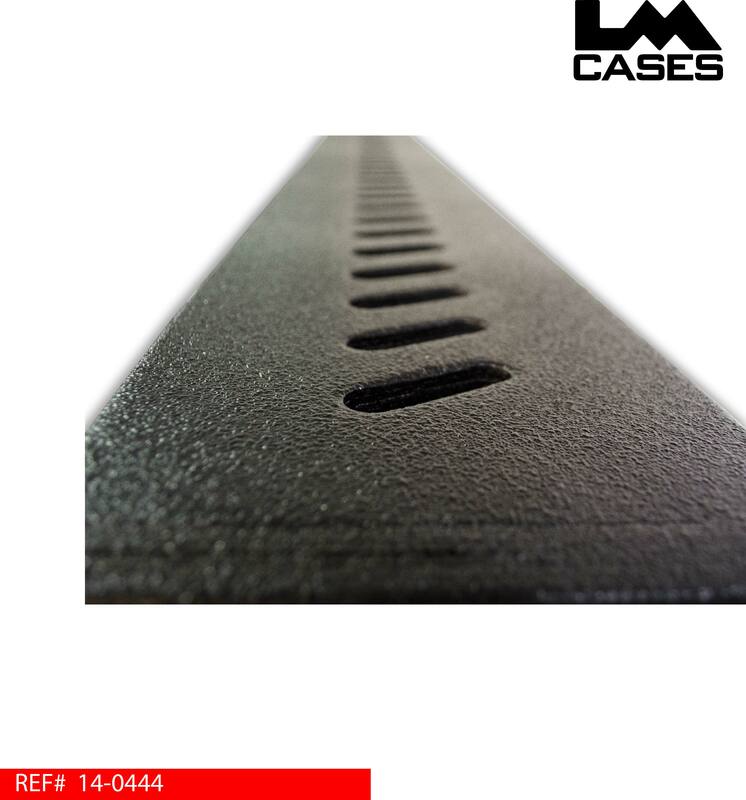 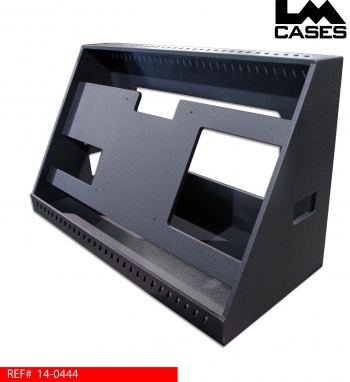 Custom CNC cut foam cradles were created to provide additional support at the bottom of the monitor. The LM Cases Custom Integration created a custom power/Cat5 box to neatly bring power and signal into the monitor enclosure. 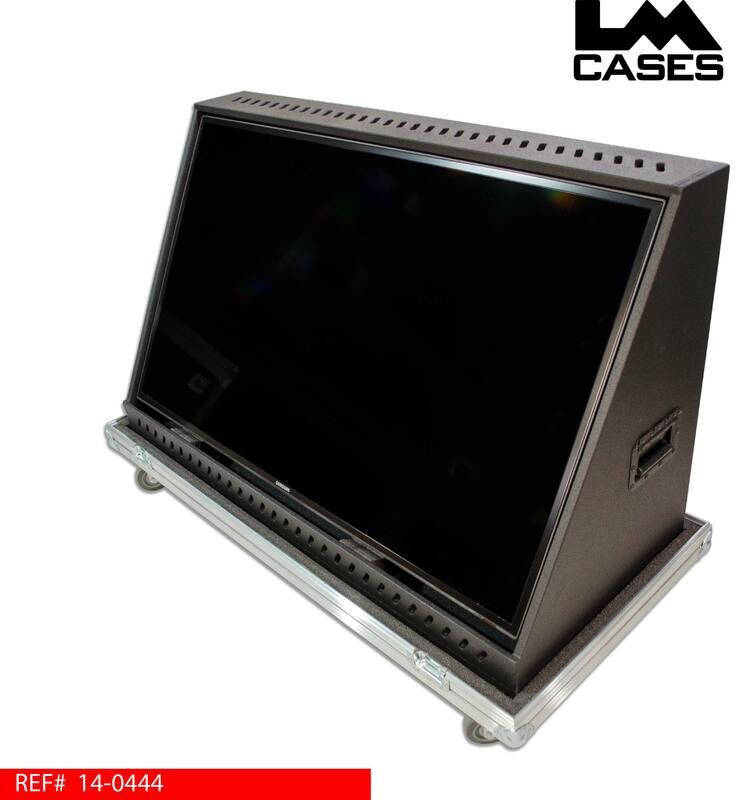 Signal was handled by Cat5/HDMI converter box mounted on the inside of the enclosure. 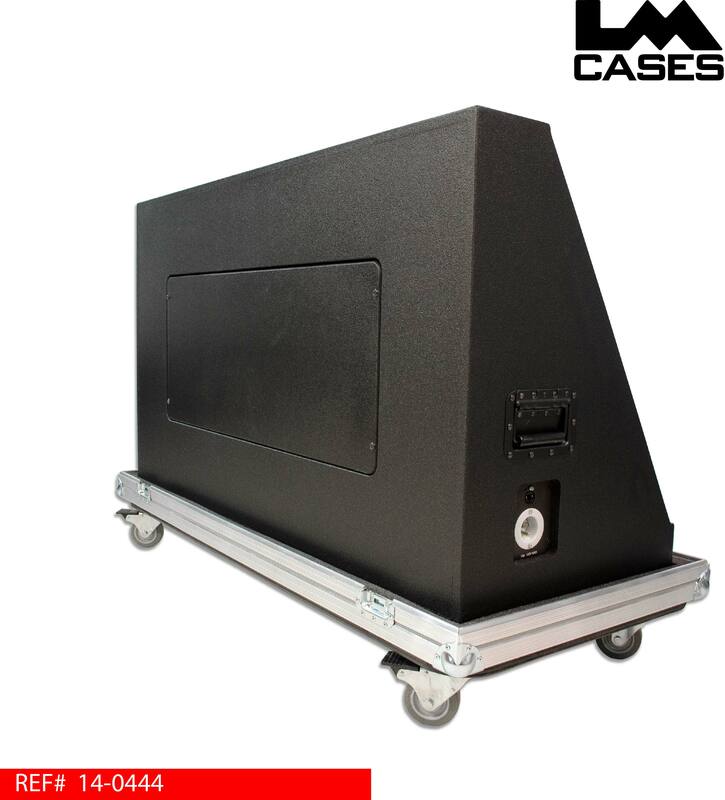 The box was built out of black anodized aluminum and features a duplex outlet for the monitor and converter as well as a 5ft cat5 pigtail. 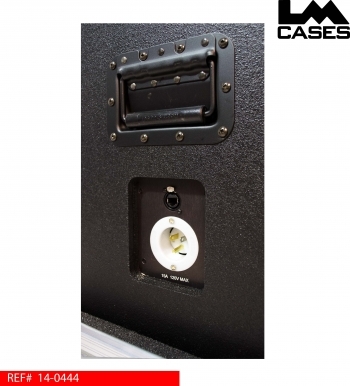 The cat5 pigtail is hard mounted via a waterproof grommet. 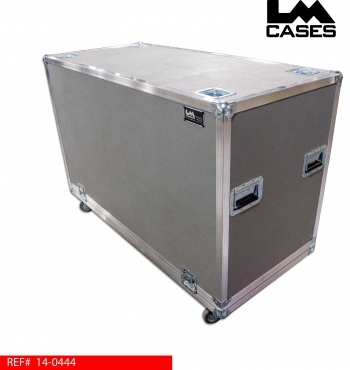 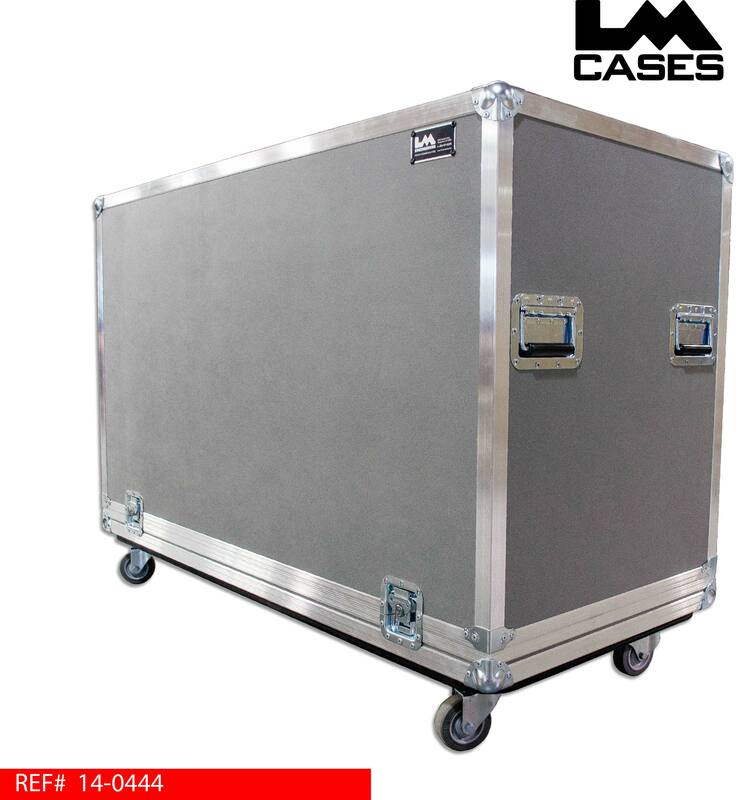 The exterior case features 3.5" casters, 4 handles, and stacking caster wells. Special thanks to Novartis & Whitlock for a great project!